This policeman hated mental health callouts, he had no training to deal with those suffering from mental health events and was uncomfortable about the physicality of their management. Mental health sufferers were often locked up in cells as if they were criminals as secure mental health facilities are in short supply. He also explained how many of the offenders he was having to deal with were the product of failed systems. One of the worst he had recent contact with had experienced over fifty homes as a state ward and then abandoned at age 17 with few skills. He had become a bitter young man, who trusted no one, and was a constant offender. Our police are having to deal with the consequences of poor health and welfare policy while they themselves are under resourced. Bradley Ambrose was the photographer who inadvertently recorded the teacup conversation between John Key and John Banks. There was no evidence that it was a deliberate act and no charges were laid. 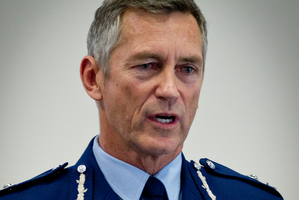 John Key demanded that Ambrose be investigated for intent and the police took the extraordinary steps of seizing 323 txt messages in the days before and after the incident. Many of the txt messages were conversations between Ambrose and his Lawyer in breech of lawyer client privilege. Glen Innes state house removals were supported by the police who took an aggressive approach to managing the protesters. It was clear that they went well beyond what was necessary with regards to John Minto who hardly posed a physical threat. The Government's target driven management throughout the public sector creates considerable pressure on managers and the police are expected to produce data showing reductions in crime. This has been achieved (with a supposed 30% reduction since 2008) but there is evidence that the reliability of the data is in question. In an effort to meet targets Counties Manukau recoded 700 burglaries as incidents between 2009 and 2012. While this was presented as an isolated incident, it was revealed on The Nation that police at the highest level don't want their statistics scrutinised (starting 6:45 in an interview with the Chief Ombudsman, Dame Beverly Wakem) . A OIA request from a TV producer for information regarding South Auckland police doctoring burglary data was delayed for over two years. A job sheet surfaced that revealed that the then Deputy Commissioner Mike Bush (now in the top job) advised that the OIA request was to be left and not responded to. Nicky Hager severely embarrassed the Government with his Dirty Politics revelations and as a result the police spent 10 hours searching his house and removed his computer despite no criminal charges being laid. Hager's bank records were also accessed by the Police without official court approval. This description of the raid on Hager's house is particularly disturbing, especially the treatment of his daughter. Heather du Plessis-Allan embarrassed the police by revealing how poor their systems were to monitor gun purchases and vet purchasers. As a part of a TV3 Story investigation she provided fake details to purchase a gun to prove how easy it was to do so online, without a license. She then handed the details of what she did and the gun to the police. As a result the Police sent a team from Auckland to Wellington with a warrant to search her house. There seems no rational reason to have done it, other than to make a point that they don't like to be publicly embarrassed. The police had already been informed about the issue that du Plessis-Allan had exposed some time before but had done nothing to address it. Censoring Dr Jarrod Glibert from accessing police data because he once published research on gangs is well beyond what should be allowed in an open and free society. Insisting that any researcher has to sign an agreement that will not allow anything to be published that will negatively impact on the police is one step towards a police state. Academic freedom and robust research is a necessary part of protecting our society from abuse through state controlled institutions. One would have thought after the police corruption exposed in the Arthur Allan Thomas and Louise Nicholas cases, that the police would have cleaned up their act. However the Scott Watson interview in the North & South raises questions again about manipulated evidence and vendetta's. Commissioner Mike Bush was also forced to apologise for his eulogy at the funeral of corrupt cop Bruce Hutton (who planted the evidence that wrongfully convicted Thomas). In that eulogy he praised Hutton's integrity. I have the utmost respect for many frontline police who are forced to work in many challenging and difficult situations, but I find the amount of political influence over their activities concerning. I also think that the current Commissioner's honesty and integrity are questionable. We need to be able to trust our police to treat us fairly and impartially and I don't think we can. I don't believe the Police are corrupt but by the very nature of the people they tend to attract are often left wanting because they get too single focused and quick to make their minds up. They have had a culture of always trying to justify their actions rather than ever considering whether they should just front up and take it on the chin and apologise. You could see that, whenever something went wrong and the police association spokesperson would jump into the media taking the police persons side without hesitation. The very role they have means they will make mistakes and that should not be to big a concern unless its a pattern of similar mistakes. Things like car pursuits and dealing with volatile domestic incidents are always different and can be unpredictable. But from the start they are the enforcers of the law and that stays with them. The day we have a commissionaire who can say, yep for these reasons we got it wrong and we unreservedly apologise will put the integrity back into the force. Politics does play a big part and the police do have to be responsive to the government of the day or they will struggle to get the support they need. I can remember the Employment Contracts act where the govt moved disputes into the civil court on the forlorn hope that if a union could be proven to be outside the law they could be sued. And Bill Birch would have loved to have seen them financially destroyed. Under civil court proceedings there was no longer any need for police to be involved unless there was a safety issue. Not long after that draconian legislation came in the local watersiders union let it be known they were going to picket a boat in Bluff because workers from up north were being flown in to unload it. On the morning up rocked 20 police in riot gear to keep the picketers away from the ship. We actually filed in court to see if we could sue the police, rather tongue in cheek, for stopping workers from doing what they were perfectly entitled to under the ECA. The judge did agree that the police should never have been used but left it at that but a good example of outside pressures that the police can face. I do think some act in a wrong manner for various reasons but do not think there is an element of corruption unless corruption can be pointed to as just not doing the job as professionally as they could be. Phillip, I agree that accusing police of corruption was fairly strong, but I did begin by defending the dilemmas faced by frontline police who must follow orders. The corruption charge was mainly directed at management, the current commissioner is clearly not beyond coverups and lying and his comments about Hutton were revealing. would be a better comment? Yes i9n my mind corruption is something that people do fraudulently to benefit themselves. What we see is rather an attitude of indifference and arrogance. I think Bush just lost complete sight of the big picture when talking at Huttons funeral. He called have said almost anything but decided to talk about integrity and someone who always put the job first. That was a huge mistake and would go a long way to showing why the police are struggling in their role of gathering the communities behind them. The speeding campaign last year was another example and again serves to put people off side with the police over what most would agree is as much about revenue as it is about road safety. I had a personal experience with one of the late commanders of our local police and was treated with what was bordering on contempt and my approach to sort an issue around a person I know was ignored. The case was thrown out of court but only after costing the person 8K in lawyers costs for no good reason other than no one could bring two parties together. Had several interesting conversations with several police staff over a few months and there is certainly a culture of not sticking your neck out down in the south if you want to get ahead. Probably indicative of the culture amongst most organisations nowadays as managers try to take the ability for their staff to make decisions away. It is clear that the incidents that I listed are easily encompassed by the listed meanings on the online Mirriam-Webster dictionary. Falsifying data is clearly fraudulent behaviour designed to benefit the police. We don't want to believe that our police are corrupt, just like we don't want to believe that our farmers routinely abuse their stock. Unless we name the behaviour and expose the reality then it is difficult to get change. The police are not just "thin skinned" they are actively bullying those who expose their failings, supporting corrupt mates and denying access to data for reasons of self-interest. I thought I was to old and to cynical to ever be naïve but the Hagar search warrant has left me dumfounded. The Police would have known that search was going to come under scrutiny and to not have every i dotted and every t crossed defies belief. It certainly points to a culture of arrogance in some quarters. Seems some are to easy caught up in the hype and wanting to ingratiate themselves with those they think are important. I used to think that there were real conspiracy theories around how the police operate but now I think that it is actually a combination of stupidity and arrogance that leads to many of their mistakes. We probably need to have a review of the job description for the police and have some different criteria for future recruiting. Corruption in the police was really evident when your lot were in power with Liarbour DK. There were a number of politically embarrassing cases the police commissioner didn't prosecute as they weren't "in the public interest". Thankfully the first Nats police minister did not renew the commissioners appointment. Mike Bush is far and away a better commissioner all round. Having said that it's what are known as blue flamers at police headquarters that have no real experience and have come direct from university. They have a tendency to make the law up as they go along rather than follow the law made by parliament. This is possibly what you are referring to as corruption. I am lead to believe Mike Bush is slowly pulling them into line. As for your examples you are way out of line. HdPA seriously broke the law (for no reason as there was no 'problem' to be exposed), Hager received stolen goods, Glenn Innes the police were merely maintaining the peace broken by thugs. Paranormal, it is unlikely that we will ever agree on things like child poverty, climate change, politics or what influences the activities of our police. The difference between us isn't really political, it is that you construct your views mainly through an ideological lens while I try to base my views on the evidence available. I do note that you rarely challenge my wide variety of sources.